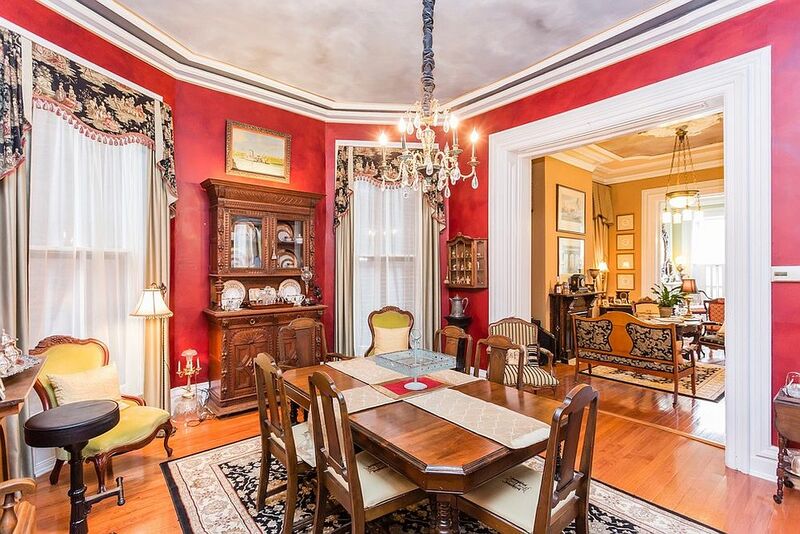 Victorian as a design and architectural style is broad and is filled with influences of different time periods. 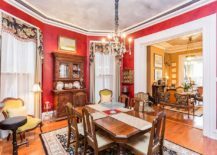 Add to this the variation brought in by local architectural elements being combined with this elegant style, and you have many different versions of Victorian. 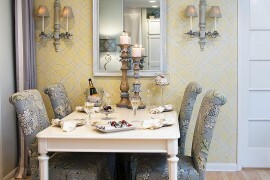 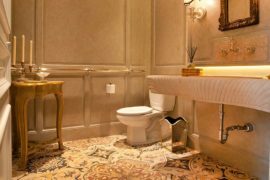 The current trend is to combine modern aesthetics with Victorian touches to create a seamless fusion of different eras. 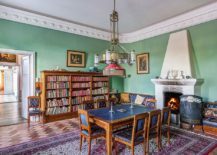 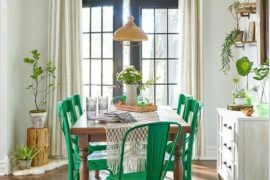 As much as we love this approach, the idea of stepping back in time and entering a Victorian dining room full of color and personality does seem like an appealing prospect. 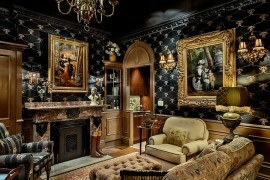 Today’s visual treat is for those who love Victorian style at its unabashed best! 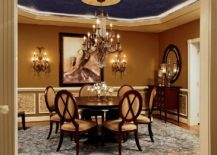 Modern Victorian dining rooms seem to take away part of the dazzle, splendor and panache that truly made these spaces timeless masterpieces. 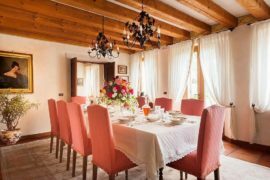 While they might not be incredibly practical, they are great for homeowners who use the formal dining space to host a few parties and dinners each festive season. 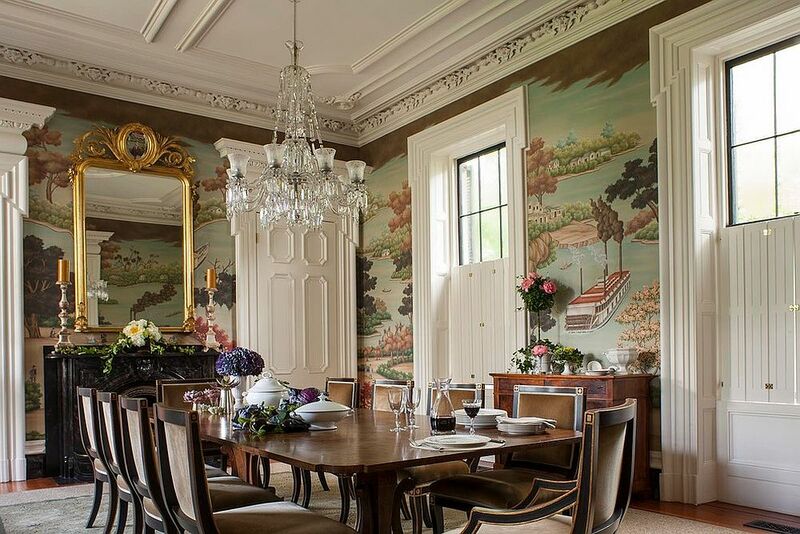 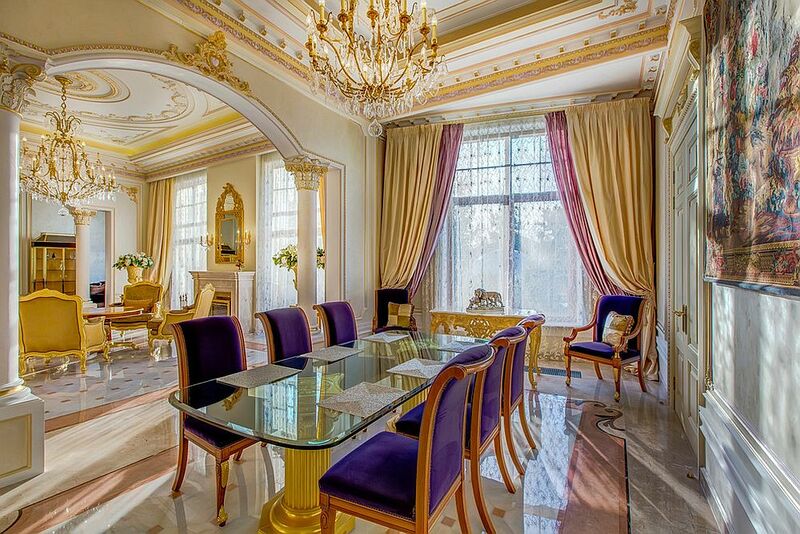 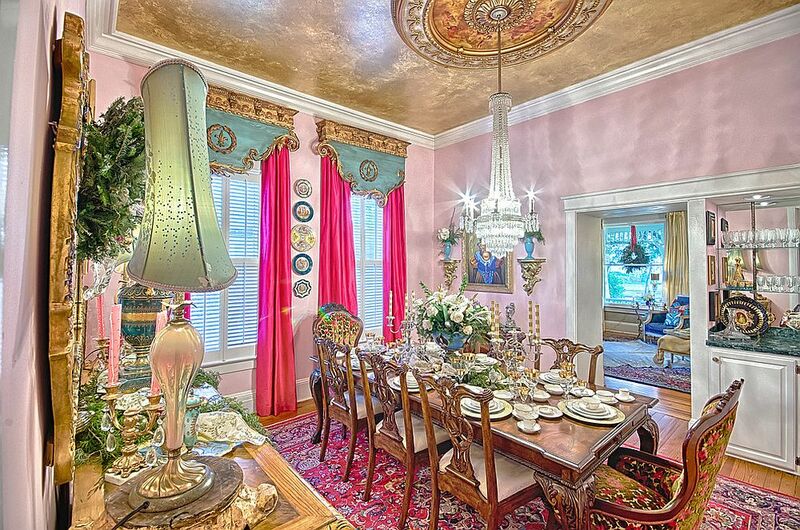 Full of color, pomp and glamour, these stunning dining rooms dazzle at every turn! 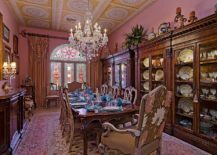 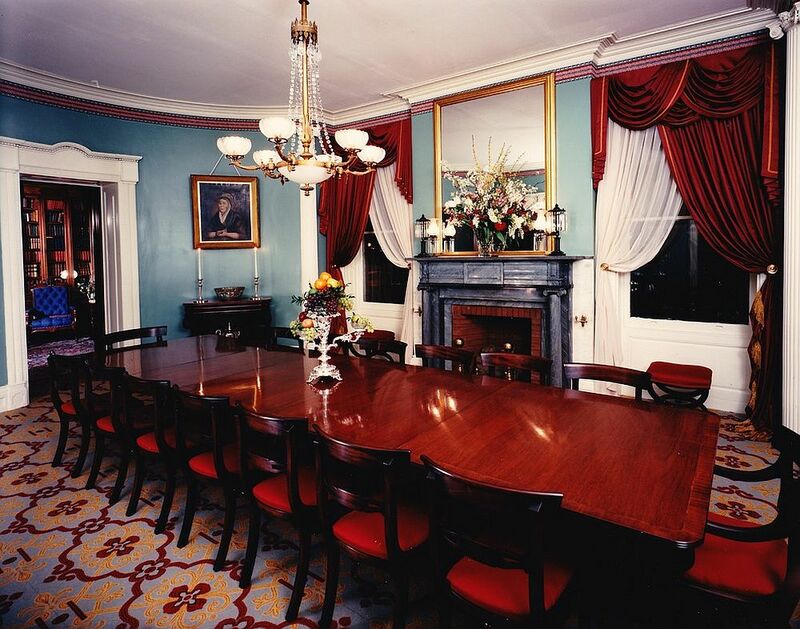 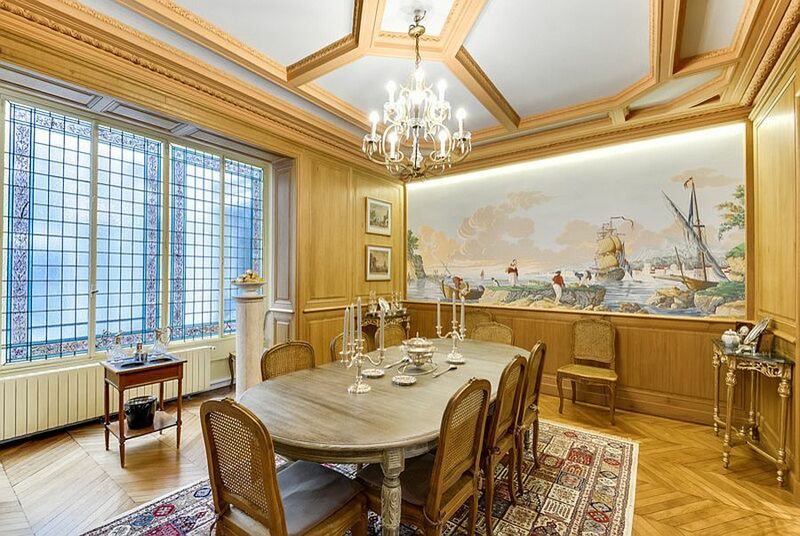 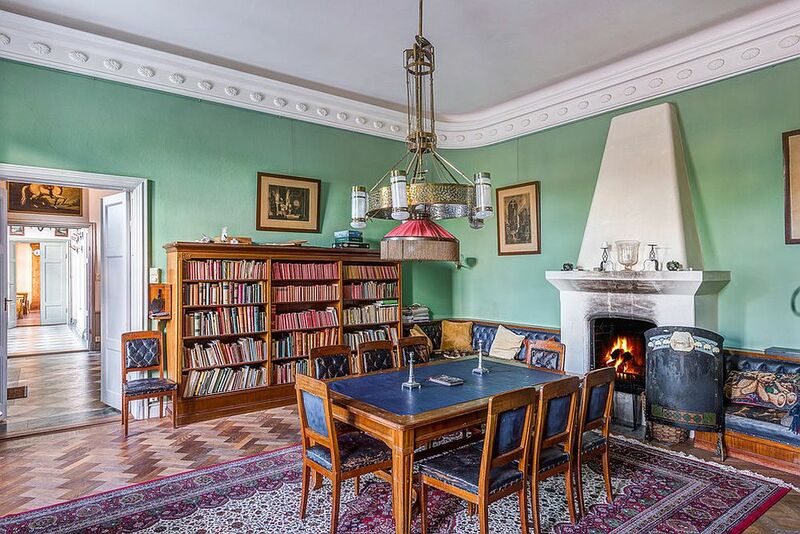 It is hard to really know where to start when you are describing the perfect Victorian dining room that is majestic in every sense of the word. 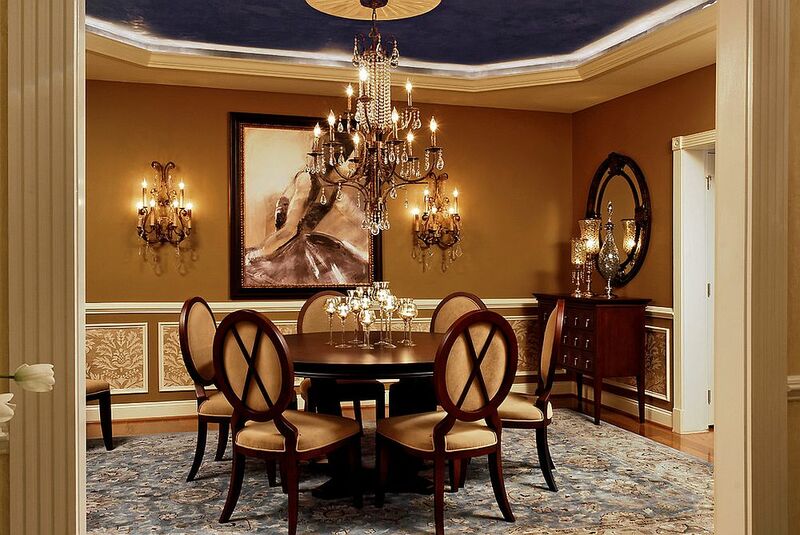 But one element that is more or less common in all these dining rooms is the presence of a glowing, golden glint. 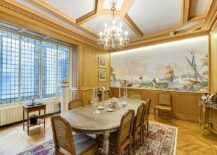 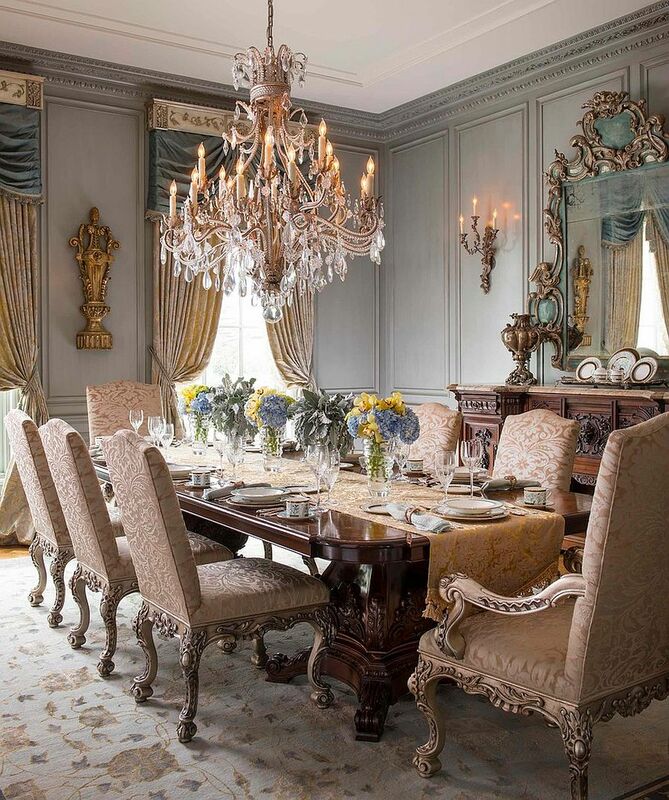 Gold-tinted décor and warm metallic tones are an absolute must for these lavish dining rooms, and everything from vintage painting frames, drapes and the dining table to decorative molding and mirror frames play into the larger, magnificent picture. 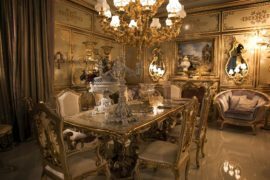 Gold as a color can accentuate the right features, anchor the dining room and also give it a glittering, glamorous sheen that makes it truly one-of-a-kind. 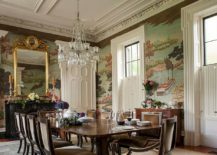 If gray is the color you prefer in the dining room, then these dining rooms are definitely not your cup of tea. 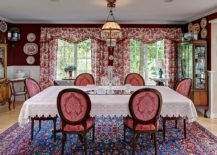 But those willing to try out rich colors, patterns and fabrics should surely consider adding a ‘bit of Victorian’ to their dining space. 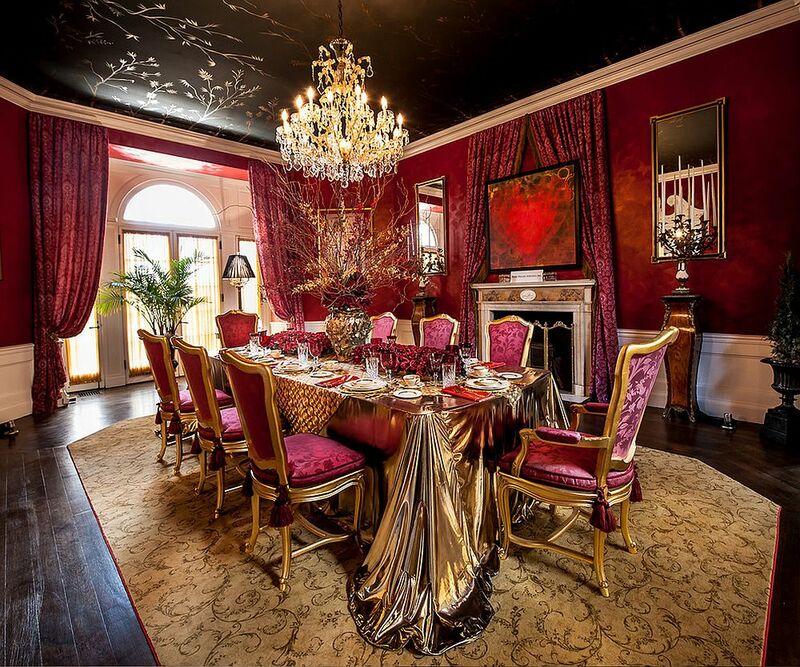 Red is one such color that seems to breathe life into the walls of the dining room and turn it into a regal affair! Through time, red has been associated with royalty all across the globe, making it an absolute favorite in Victorian homes. 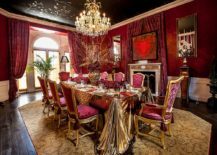 Red coupled with black is a timeless showstopper that works even in these affluent dining rooms, but feel free to experiment with different shades of red ranging from seductive scarlet to fascinating fuchsia to find the ideal hue for your dream dining room. 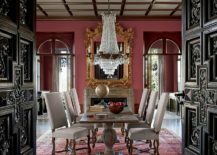 Once again, it is important to remember that this not just about walls alone, and décor, accessories and drapes in red come together to create a richer and more appealing setting. It is walls that bring much of the color to the Victorian dining room, and if red and gold do not seem appealing enough (or far too audacious), then maybe it is time you toned down the ‘richness’ just a bit and turned to blue. 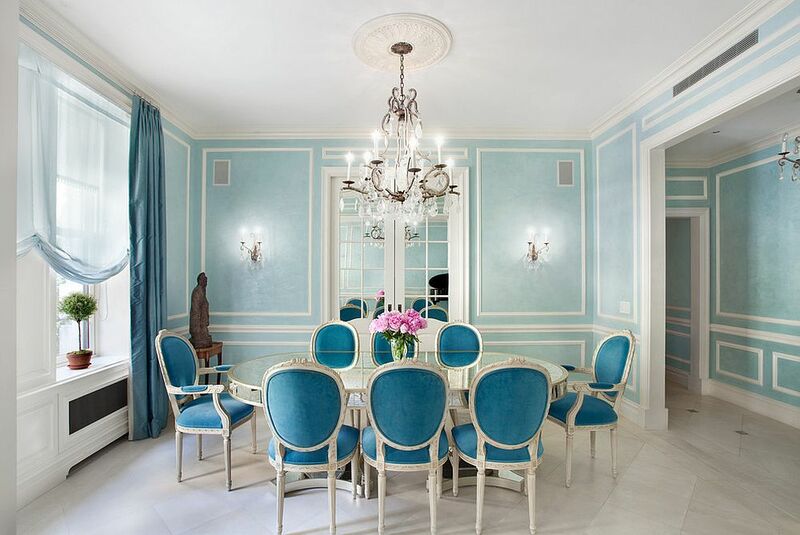 Even the brightest shade of blue creates a more relaxing dining room when compared to red, and the walls can still seem equally engaging with stylish molding, vintage wall art, rare oil paintings and even custom wallcoverings ushering in all the contrast you need. 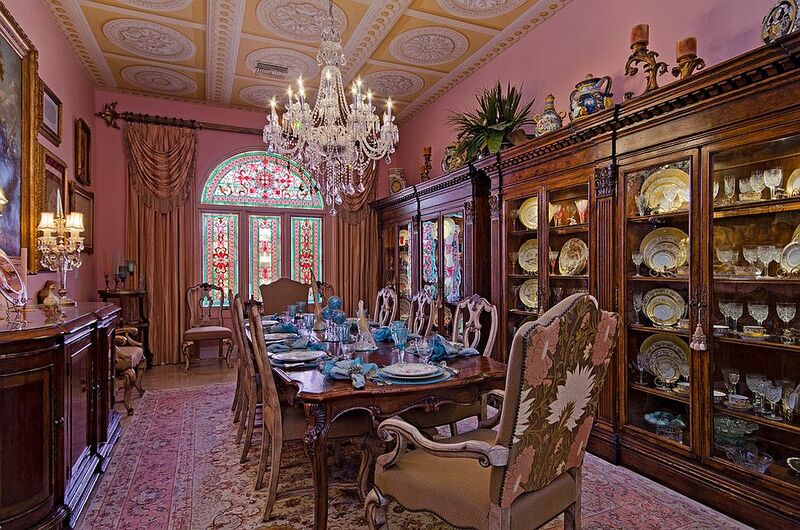 A sparkling chandelier is another essential component of the Victorian dining room that one must never overlook. 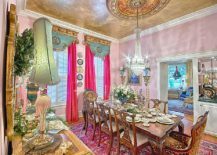 It is the chandelier coupled with recessed lighting and a few cleverly placed candles that bring out the true beauty of a perfectly crafted and colorful dining room. 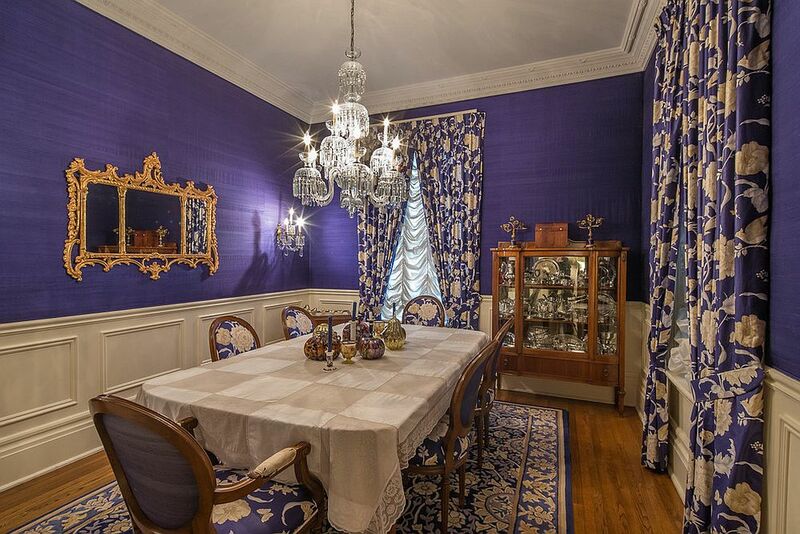 A dining table crafted from wood, a sparkling table runner, dining tables chairs that showcase gorgeous craftsmanship , a vintage buffet or china cabinet that showcases your best silverware and ceiling medallions – each of these individual elements plays its part in creating the brilliant Victorian dining room.